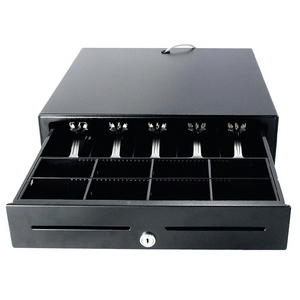 The Wasp WCD5000 cash drawer features all-metal, rugged construction and a compact design, perfect for retail environments with limited space. Engineered for easy installation and use, the WCD5000 offers two media slots for separating checks and coupons. The WCD5000 easily integrates with Epson or Epson compatible printers.